School Bulk SMS is necessary part of life. For any School, Bulk SMS service is must to communicate with student, parent and staff and efficient method to reach them in almost real time. Class wise groups can be created and sms can be sent to a section, class or whole school at a time just on a click. SMS APIs are there to be integrated with school ERP to send auto sms like attendance . It is a useful tool which can be used in case of urgent announcements or information, like emergency exam time change or holiday or some emergency situation. Even SMS can be sent in regional languages also. Today, Voice sms is also being used massively to reach parent to information delivery in local language and it is giving good results where parent are illiterate, they are happy to get such messages on mobile. There are bulk sms service providers in India who are providing good rates of such services and some are providing only on setup cost also to get the idea of such Priority SMS services for quick delivery. Every educational institution should adopt Bulk SMS service to save money and time and increase reach to each parent. There are some TRAI regulations which needs to be followed to use bulk sms services so that sms delivery can be done to each and every number. Some Documentation is also required to get Transactional SMS service so that DND and Non DND numbers can be covered to send sms. 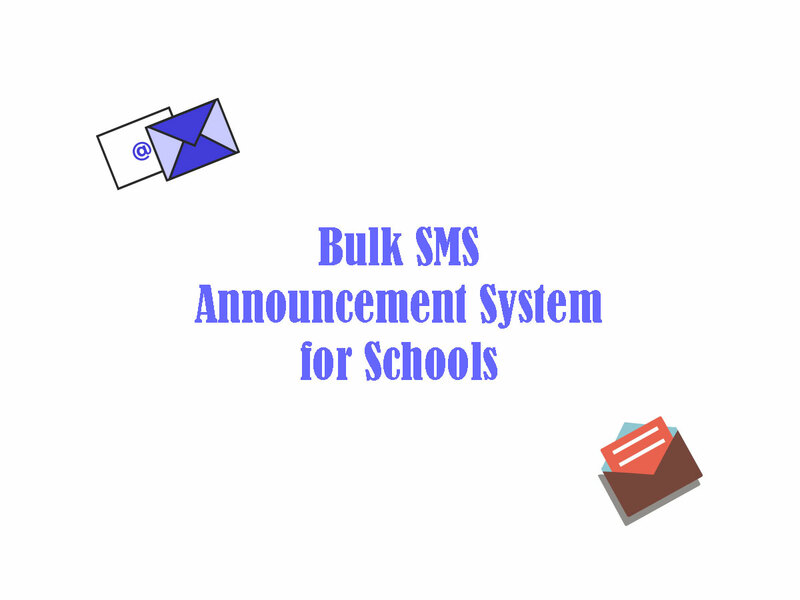 Bulk SMS Announcement system for Schools may provide ease of life to a School in the field of information & announcement circulation.